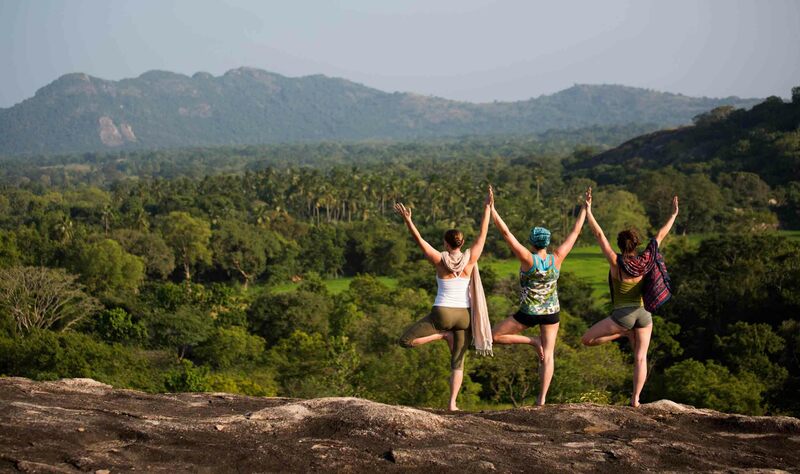 Steeped in ancient culture and with a rich and diverse history, Sri Lanka has so much to offer. From endless stretches of beach, tea plantations and spice gardens to exquisite historic sites, few places in the world offer such a remarkable combination of stunning landscape and cultural heritage within such a compact space. Peace and stability are now finally returning to the island after 20 years of bitter civil war and there has never been a better time to visit this gentle Buddhist nation. Set in an ancient pilgrimage site on the western fringes of the cultural triangle 2 hours from Kandy, one place that continues to win international spa accolades is Ulpotha. The first thing I am told by Viren Perera who co-started the village-living concept here, is that it’s not much of a spa, but local healers doing what they know best. With accommodation in mud-style huts and no electricity, hot water, doors or locks, the place is not for everyone, but those seeking peace and tranquillity tend to become hooked. The most therapeutic thing [about Ulpotha] is to have the mind get still, says Perera, who along with Tennekoon, a local villager, is the energy behind the place. More a working village than a hotel, there is an ecological mission to revive traditional farming practices and the locals are very much a part of the experience. Guest numbers are restricted to a maximum of 20 at any one time. Well-known masseurs and yogis visit from all corners of the globe to run workshops here in the lush and spiritual countryside, but there is no pressure to join classes. Some guests prefer to swim, walk, read or simply be. Vegetarian food is served and the occasional party is the chance to enjoy a few drinks as alcohol is not otherwise available (unless you bring your own). Luxurious without the normal trappings of luxury is how one returning English guest defined her stay. Ten years since it was started, Perera continues to be amazed at Ulpotha’s success: “The place has a life of its own and we are as much passengers as anyone else”.